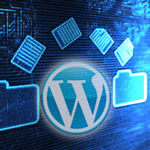 Beginning with version 2.5, WordPress automatically handles many types of canonical redirects. A good example of this may be seen by typing your blog address into your browser both with and without the www prefix. If you are using WordPress 2.5 or better, one of these versions of your blog URL will be immediately redirected to the other. The same type of automatic redirect may be seen for several other non-canonical URL variations, and is handled via PHP deep in the WordPress core.